It won't be easy for Joss Whedon to top the success of The Avengers with the film's 2015 sequel The Avengers: Age of Ultron. But if he's going to do it, it's going to start with a great script. Fortunately, early indications are that the fan favorite writer-director has delivered (at least if you listen to one of the stars of the movie). In a recent interview, Scarlett Johansson (a.k.a. Black Widow) praised the script, calling it "dark" and "cerebral." 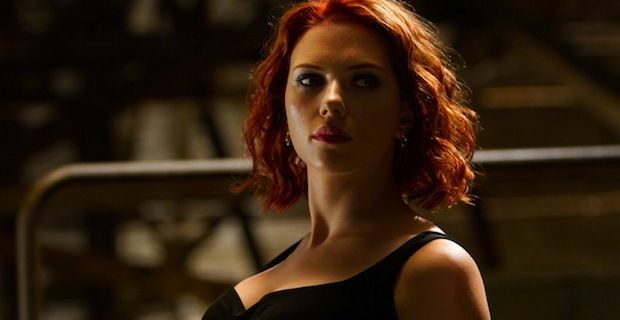 Speaking with Parade Magazine (via ComicBookMovie.com), Johansson said the script for the sequel "feels like the next installment" as opposed to a rehashing. "I think the script is dark and it’s dry, it’s got this amazing one-liner, glass-cutting sense of humor. Obviously the script is very cerebral. It doesn’t lose that exciting comic book aspect that people enjoyed in the first film, but it’s smart and it feels like the next installment. It doesn’t feel like a rehashing, it feels like these characters are moving forward, plotlines are moving forward. It’s deep and I think that’s why people really respond to the Marvel universe, because the films are fun and exciting and have all that flashy stuff, but there’s a gravity to them. People can expect that gravity this time around." While the word "dark" is often thrown around for comic book movies (it's almost become a shorthand way of giving them more credibility), there's some nuance to Johansson's comments that's interesting. It doesn't sound like Whedon's script is "dark" just for the sake of being serious, but rather because it advances the characters in an organic way. We know that the events of the first film impacted our heroes significantly and we've already seen how for some of them in Iron Man 3 and Thor 2. Whether they realized it or not, when the Avengers assembled, they stepped into something bigger than they could have planned. As Whedon explained last year, the creation of the team is not the happy ending. "It is the beginning of something that is complex and difficult, and now I get to dig a little deeper. And maybe, while I’m digging, just twist that knife. And that’s exciting for me." Good sequels have a way of upping the stakes. Perhaps the greatest example is The Empire Strikes Back. By the end, Luke learns his father is his archenemy and gets his own hand cut off. Plus, Han Solo ends up frozen in carbonite. Now that's dark. By crafting a script that truly tests The Avengers, Whedon will give audiences more than just a bunch of action setpieces, but a story that allows us to make more meaningful connections with the characters. And in this writer's opinion, that's what it will take to top the first film. What do you think of ScarJo's comments? Does a "dark" and "cerebral" script sound good to you for Avengers 2? The Avengers: Age of Ultron hits theaters on May 1st, 2015.